The 70s and 80s were the pinnacle of invention for mankind and in many ways they have directed the state of our society as a whole. 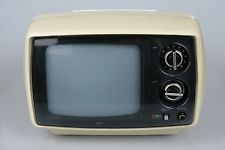 One of the things which made this time period so amazing is definitely the portable TV set, which actually came in a variety of models. In this article we are going to list and talk about some of the most iconic portable TV sets from that era! 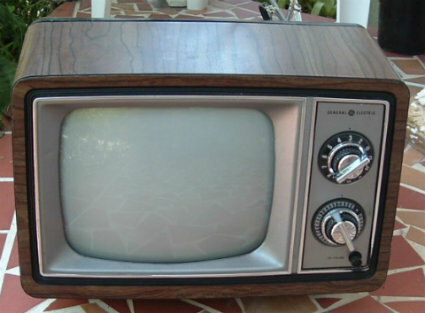 This was one of the first TVs created by General electric and it actually was a very interesting model. It integrated a very fast warm-up time and at the same time it also had an astounding design. All of these combined made the General Electric Portacolor II JA5302WD a great investment, even if many considered it to be quite pricey back in the day. The Sears Television Set had a handle and it was very easy to carry. This model used vacuum tubes but the best thing about it is that it managed to offer a crystal clear quality. The design is normal for that time, but the buttons and size made it a great purchase at its time. Panasonic has a great history with TV sets and the 13” screen delivered great image quality. The design makes it look a lot newer than the 70s, so you can expect this to be a very futuristic model considering when it was launched! 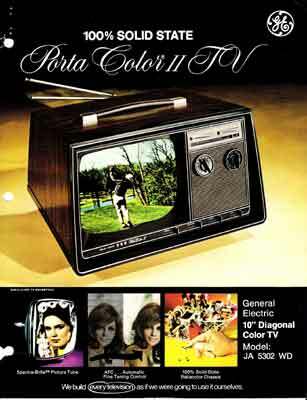 This model pertained to the next generation of GE televisions that were created after the portacolor sets. They were created in different colors and offered a great variety which was unmatched at its time. KTV models were created by Korea electronics in 1985 and they had a great tuner as well as support for VHF and UHF. They offered a great set of tools and the design was simply spectacular considering the time it was made. Another great TV station with a dedication to detail and excellence, it had one channel knob that tunes the channels. It’s one of the classic models that you can try out and which delivers amazing value even today as it can work with a digital converter! Despite being made in the 80s, the TV set actually looks like it’s pertaining to the 70s. It has a classic, ye refined look and at the same time it also offers an antenna that successfully completes its appearance. What makes the Quasar Television Set Model WT4255SW stand out is the fact that the bulb which lights the channel rotator will blink. Aside from that, the design is classic and refined, with a lot of potential! In the end, the 70s and 80s were a great time for owning such portable TV stations and they did offer quite a lot of variety. If you want to collect such TV stations, this is a great time to do it, as they do offer a great insight into the tech of that era. Either way, owning such a TV station is a piece of history and something that will warm your heart, all while remembering the great days of television!